Facebook has enabled me to make a whole new world of friends, and I am so thankful to God for that. One of the new friends I’ve made on Facebook is Sheryl Griffin, speaker and author of A Scarlett Cord of Hope…My Journey through Guilt, Shame, and Fear to Hope. I loved Sheryl’s book, and it is available at her website, at Amazon, and at Barnes and Noble. 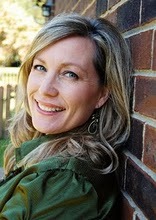 You can visit Sheryl’s blog at www.SherylGriffin.blogspot.com. If you missed the show today, you can listen to the replay here or on the player below. This was an anointed show with Sheryl sharing on being a child of divorce, her own abusive former marriage and divorce, abortion, anxiety attacks and Post Traumatic Stress Disorder (PTSD). It is a story that you will probably relate to and one of redemption and hope through Christ. Sheryl has such a sweet spirit and you will love her. She’s leaving this Saturday morning for a trip to Israel, so please keep her, her friend who’s going with her and the church team in prayer for protection and traveling mercies. She’ll be returning home on October 7, and I hope to have her back on the show to share about Israel and other topics she speaks on. ← Just start writing – again!